On the weekend of September 22-24, 2017, Eugene's Very Little Theatre Stage Left hosted three staged readings of a brand-new play, Now I am Your Neighbor, written by Nancy Hopps, directed by Carol Dennis, produced by Community Alliance of Lane County, and based on real-life stories of immigrants living in Lane County. One of the featured immigrants is Rosie Hernandez of Springfield, who wrote a poem for the presentation. Born in Oaxaca, Mexico, she moved with her family to Mexico City when she was 12 years old. "I went to middle and high school in Mexico City," she says. "I got married to Marcos when I was 17, and shortly after, we moved to Red Bluff, California. We were undocumented migrant workers." They traveled to Othello, Washington, to pick fruit during the summer, and three years later moved to Othello. Rosie gave birth to three sons, Marcos, Alex, and Johanis, and she continued to work in the orchards. "I became a leader of the crew," she reports. "We had 75 to 90 workers. I checked the quality of the fruit they picked." When the boys started school, the family relocated to Lane County, where Rosie's brother had settled, to afford them better educational opportunities. 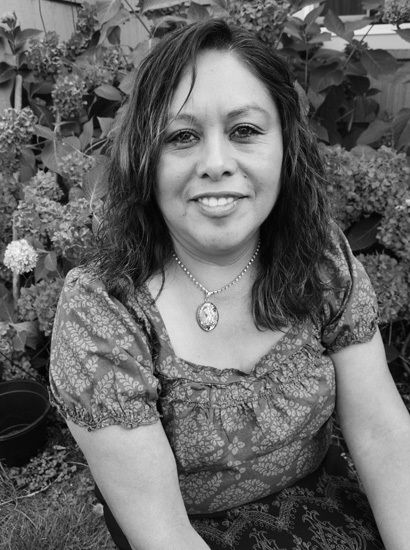 She found housekeeping work at the Phoenix Inn and studied English at LCC while husband Marcos worked at landscaping and building maintenance. She later had a 16-year career with Marriott Hotels as a housekeeping manager, and received several awards for her work and her many volunteer activities. She reached a long-term goal in May of this year, when she became a citizen of the United States.